From high-efficiency heating to durable winter covers, our professional team has the equipment and expertise you need to update the pool of your dreams. 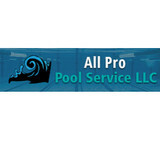 Redesign and renovate your pool today and let All Pro Pool Service LLC bring your ideas to life! For a contemporary look to your pool or if you want to renovate your pool's archaic image, we can provide the service you need at a price you can afford. At ASP Mooresville, our top priority is customer service. We find that by providing exceptional service to our clients that they continue to use our services time and time again. We are so confident that you will be more than satisfied with our services, that we don't even require contracts. 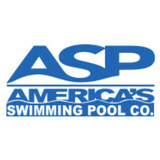 The ASP Mooresville swimming pool service staff helps you to determine the needs of your pool and will customize a service plan for you that won't break the bank. We will never require a contract, and will always provide solutions to your pools needs. When you are ready to turn the care of your pool over to the pros, give ASP Mooresville a call! You will be glad you did! Whether you are a new swimming pool owner or you need solutions for hot tubs & spas, our experienced employees are ready to assist you with all your needs! 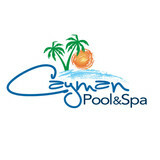 At Cayman Pool & Spa, we know that owning swimming pools, hot tubs & spas can be fun, but it also can mean there is some work involved. From routine maintenance and cleaning to hot tub repairs and swimming pool liner replacement, there isn’t anything our experienced team can’t handle! We offer the best Pool and Spa services in the Hickory area. Contact us now for all of your Pool Service needs! When we get on the job, we will check your pump, Pressure Test all of the pipes. Scan your liner for holes which we can find a hole as small as a needle. We will check your skimmers, returns, lights, main drain and steps. Any work we do under water is already included. If a pipe is busted under ground we can locate it and mark it for you. With years of experience Rest –N– Relaxation has been creating living environments, with custom swimming pool designs as their centerpieces. Whether your need is for a standard design pool or a custom design you came up with, we can do it all. As a swimming pool contractor, we work to understand our customers’ hopes and dreams, needs and passions. Then we design and build practical, elegant spaces that enhance their worlds. We turn dreams into reality. We use the most up-to-date techniques and materials to create the backyard retreats our clients used to only dream of. By offering expert design solutions, innovative construction techniques, and superb workmanship we are able to provide our customers with the highest quality custom built pool or spa available anywhere. We don’t just stop there we also provide Fence Installation, fire pits, just to name a few. Welcome to Kiker Pools and Spas. We’ve put the splash in your pools since 1982. We are a family-owned business located in Monroe, North Carolina. We specialize in vinyl liner pools and the installation of both in-ground and above ground pools. Douglas Kiker, the owner, started installing pools in the early 80’s and has kept it a family business by teaching and passing on his knowledge and experience to his son Brian, and son-in-law Jimmy. His wife Terry and their two daughters Yvette and Bridget manage the retail store. We opened the retail store in 1986 and offer a complete line of all of your pool and spa needs. From chemicals to maintenance supplies, to parts, motors, toys and games – we have it all. We also offer free computerized water testing to keep your chemicals balanced, your pool safe and water sparkling clear. Douglas and Terry have 10 grandchildren, and 4 great grandchildren. Five of the grandchildren, Dalton, Jessica, Joshua, Jordan & Kayla, are currently working in the family business. We strive to make your pool you own personal get-a-way by giving you a top line pool for a great price. Pools and hot tubs are great fun, but they also come with not-so-fun upkeep and maintenance. That’s where Denver, NC pool cleaning services come in — leave the dirty work to the professionals so you can enjoy swimming and relaxing without a single worry. Whether you’ve got a leak, cracked tile or just need recurring cleaning, you’ll need a Denver swimming pool repair and maintenance company that you can trust to get the job done right. What should I look for when hiring a pool cleaning service in Denver, NC? Pools and hot tubs are big investments, so you’ll want to make sure to protect them by hiring an expert who cares about them just as much as you do. Check that the Denver swimming pool maintenance service you are interested in actually specializes in the type of pool you have — chlorine and salt water pools have very different needs, and in-ground versus above-ground pools will require different upkeep and repair methods. Also, know who will be doing the repair or service; if it’s one of the larger swimming pool services in Denver, NC, request that you get same person every time, otherwise you could get inconsistency in treatments. Good Denver pool professionals will keep a consistent schedule and log everything they do so that it can be referenced in the event that you switch companies or something does go wrong. Like any other professional, look for local pool cleaning companies near you with plenty of good reviews and relevant experience. Find a Denver, NC swimming pool repair and maintenance specialist on Houzz. Narrow your search in the Professionals section of the website to spa and pool maintenance companies in Denver, NC and read reviews and ratings for pros in your area.